No first view shot here. Because I want to keep it to the end of this blog. It was the first time we needed to work with more than one or two models. And it all started in March 2011… . In March we heard from our teacher a theatre here in my home city liked the shots of “Erwin Olaf” and wanted us to make some sort of same shots. Which was now impossible for us to do, since we are ‘just’ students. However, they wanted other styled photo’s in their theatre than the other theaters around. We all got two plays to work out and if possible, both shoot them aswell. We thought we could but time proved otherwise. We needed to move the date and it was possible, almost two weeks later. 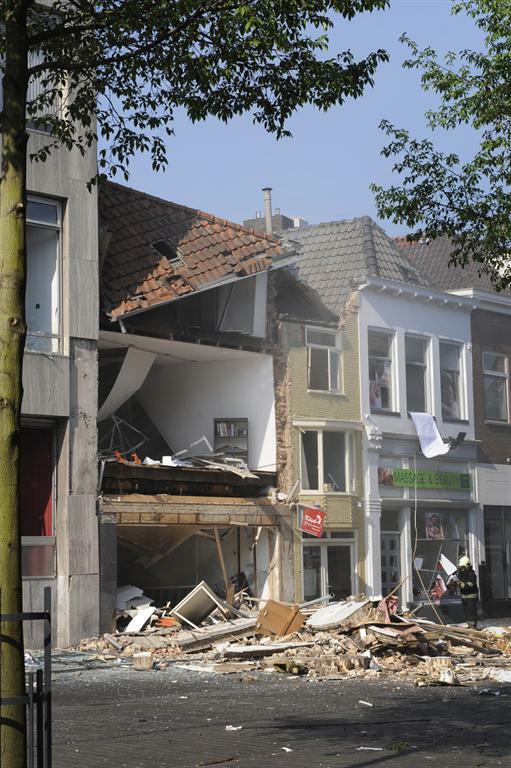 We had to deal with this but this also ment we could forget ‘Spuiten en Slikken’. Now it was time to call all of our models and stylists they needed to keep an other day off. My own stylist couldn’t work for me on the new date we had planned. Another bummer. But one of my classmates had one. At least, he said. But one day, in the evening, she called she couldn’t show up. I was extremely upset. One day, no wait. One evening before the shoot. What the….?! We had now eleven models fixed but no stylist. We needed to live this through. So it was the day of the shoot. Out of eleven people… three showed up. The Beauty, The Daddy and one Gang Member. Many didn’t even notify us about they weren’t comming. So the only option was to model ourselves. Two would model aswell and one made the shots. So at that point we fixed the lights. I placed the models. Told the boy who made the shots, from which angle it would look best and then I went in the shot aswell. Yes, I was a model for this shoot. I think it took us two hours and then we got what we wanted. A daddy cool worth shot. Then time for the edits. Those are done by me. At least most of them. This is the result I made so far. So, therefore, I present you. 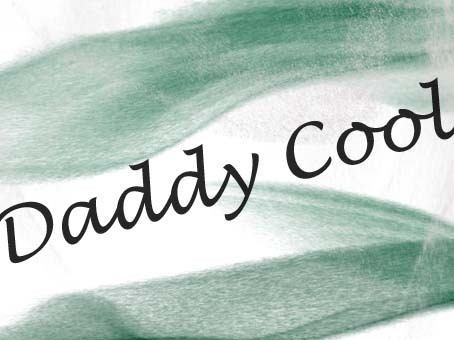 The Semi-Final shot of Daddy Cool! 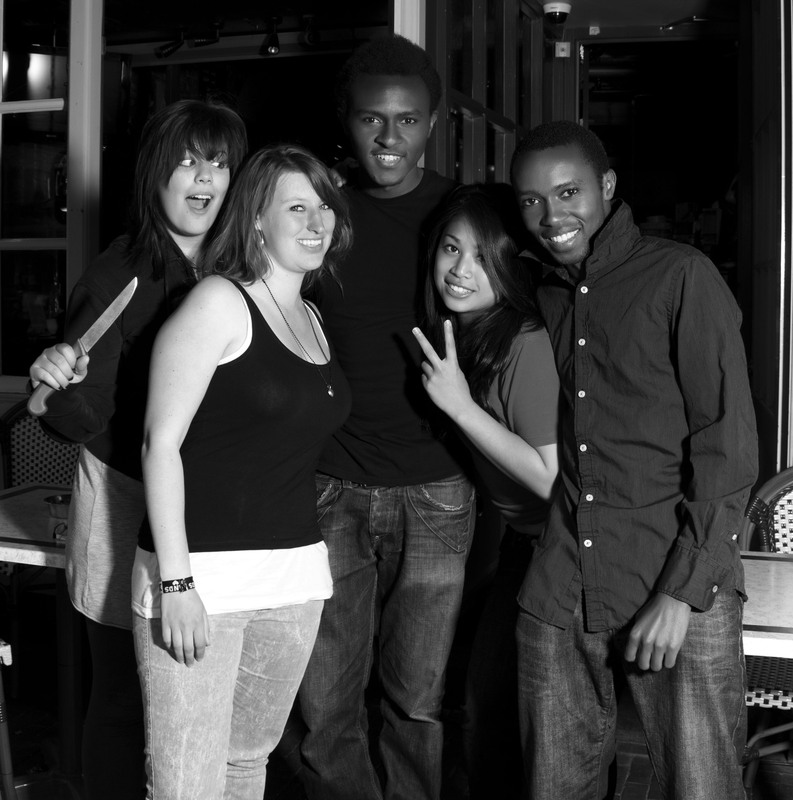 Models from left to right: Maryonne, Ilse, Ben, Pacifique, Fairuza. Thank you for reading and maybe ’till next time!